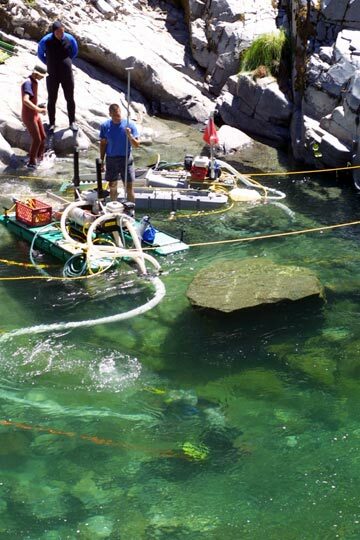 You are invited to prospect and mine for gold along 60 miles of gold-bearing mining properties on the Klamath, Scott and Salmon River, and their tributaries, in Siskiyou County, northern California. We guarantee you will find gold–which is yours to keep! 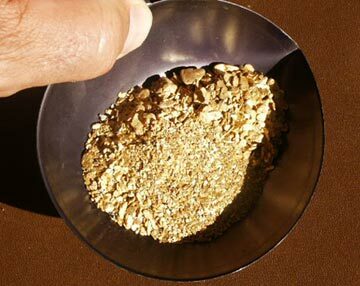 Participate in a fun, weekend basic group prospecting project and keep an equal share of all the gold that is recovered. Learn from hands-on experience how to find your own gold. No previous experience is necessary. There is nothing more exciting or rewarding than finding and recovering your own gold! Anyone and everyone is invited to spend a day along 60 miles of gold-rich mining properties to find your own gold (between May 1st through September 30th). All weekend events are free to Full & Associate Members (see details below). Schedule of Events: June 22 & 23; July 20 & 21; August 17 & 18. The Experience is worth its weight in gold! Associate Membership … $100 per year. Allows free participation in all scheduled weekend group prospecting projects (listed above) and allows you to freely prospect and mine on 60 miles of gold properties during the week of your choice between 1 May and 30 September. Keep all the gold you find! Full Membership … (please inquire at our office for current special price on full membership.) Allows free participation in all scheduled weekend group prospecting projects, and you may freely prospect and mine on 60 miles of gold properties as much or as often as you desire. Keep all the gold you find!